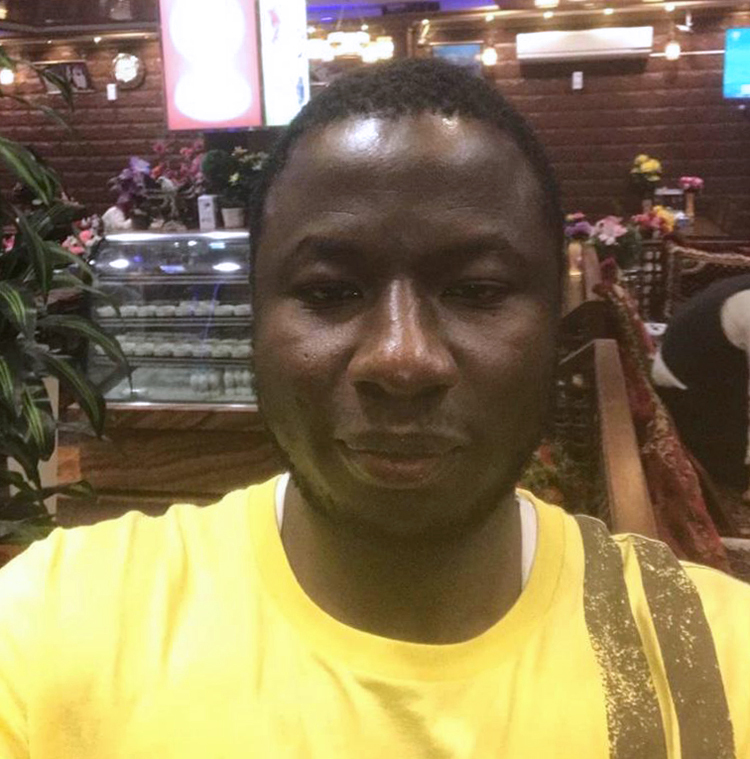 One month after Ghanaian investigative journalist Ahmed Hussein-Suale Divela was shot dead in his car in Madina, Ghana, activists are calling for answers and insights into the circumstances of his gruesome death. The group United Press for Development staged a peaceful solidarity walk in Accra in mid-February as a message to police that Divela’s killers have been yet been identified or convicted. They say that walks will continue until the group gets answers. Divela’s killing calls attention to press freedom in Ghana where violent killings of journalists are actually rare, according to the Committee to Protect Journalists. Who was Ahmed Hussein-Suale Divela? Ahmed Hussein-Suale Divela worked with Tiger Eye Private Investigations, an investigative journalism outlet led by Anas Aremeyaw Anas. Their unconventional and controversial approach to investigative journalism has exposed many high profile people across Africa. Divela had recently contributed to investigative work that exposed Kwesi Nyantakyi, former president of Ghana’s football association, also a former member of FIFA’s General Council, accused of accepting a bribe of $65,000 USD. FIFA's adjudicatory council gave Nyantakyi a lifetime ban from all football-related activities. In September 2018, Divela told the Committee to Protect Journalists via WhatsApp that some “powerful figures in Ghana sought to harm him” after an image of him was published on NET 2 TV station in May 2018 by Agyapong. Since my image was published and [the] public was incited against me […] many people have attempted [to attack me]. These criminals after us are people who are […] associated with powers that be in Ghana and can do anything and get away with it. Indeed, it [has] been hinted in some quarters that the very man who published [my image] said he was doing everything possible to quell [my] existence. Agyapong, a member of the ruling New Patriotic Party, has served as an MP for 19 years. In his fight against corruption, Agyapong is known for making bribery allegations against corrupt political officials — especially those within his own party. The boy is very dangerous. He lives here in Madina. If you meet him somewhere, break his ears. If he ever comes to this premises [sic], I'm telling you, beat him. Agyapong justified his actions and said his comments were not meant to provoke harm and referred to a skirmish Divela allegedly once had with one of Agypong’s staff members. In another video, Agyapong suggests that Anas is actually a prime suspect in Divela’s death. He offered to pay a 100,000 Ghanaian Cedi reward (about 19,000 US dollars) for anyone who finds Divela’s killers as proof that he did not call for his murder. Agyapong left Ghana after police questioned him — he strongly denied that he was fleeing Ghana or that he has been identified as a suspect. Six people have been arrested and released on bail in connection with Divela’s murder. Police stated arrests were “based on reasonable suspicion.” However, their identities have not yet been released. Tiger Eyes Investigations had been receiving death threats for several years and was accused of using unethical techniques that violate journalism ethics. While there is no evidence to show that Agyapong had any direct connection to Divela's killing, his words do have power and were spoken on a TV station owned by him. A CPJ report reveals that in 2018, about 53 journalists throughout the world were killed, “34 of whom were targeted for murder in reprisal for their work.” Between 2016 and 2017, 102 journalists were killed as a result of their work. Over one thousand journalists were murdered in the last decade (2006-2017) according to a report by UNESCO. The high profile assassination of The Washington Post columnist, Jamal Ahmad Khashoggi at the Saudi Arabian consulate in Istanbul on October 2, 2018, by agents of the Saudi government drew global ire. Awil Dihar Salad, a veteran journalist in Somalia, was killed in December 2018. Salad fled Somalia in 2005, fearing he could be targeted, but later returned and was then murdered. Engaging in investigative journalism can be like signing a death warrant. Many African governments operate in opacity and they firmly resist attempts at exposure. Considering the poor remuneration of journalists, it does not make sense for most journalists take this level of risk. Yet, Divela’s death is not forgotten and his work lives on. Journalists and activists will keep walking until there is resolve.